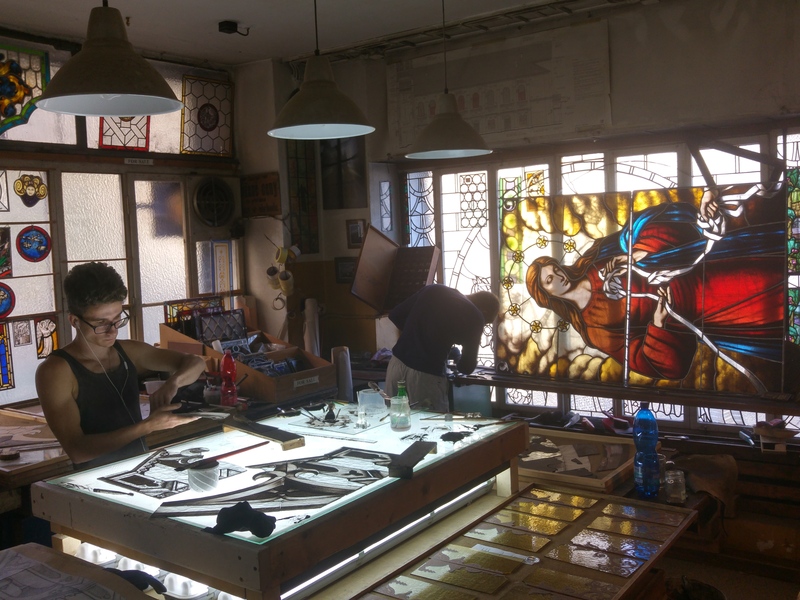 The workshop for glass refinement, glassmaking, production and restoration of stained glass, glazing. Introduction about the history of the art workshop Jiřička - Coufal for production and restoration of stained glass, vitraj, glass sculpture. 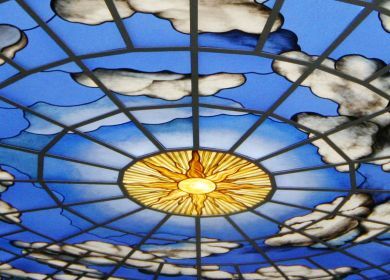 / About us, our artistic glazier company Jiřička - Coufal manufactures and restores stained glass, glazing for more than 80 years. Glass refinement, glass sculpture. 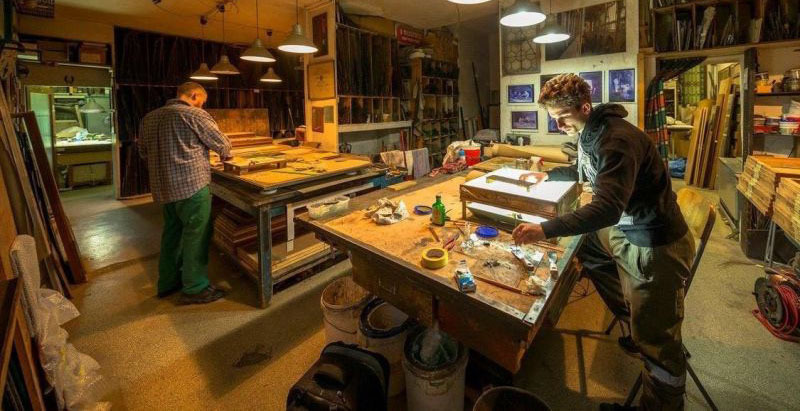 O ur studio was founded in 1935 as a Specialized workshop for glass-painting and inserting glass segments to lead. 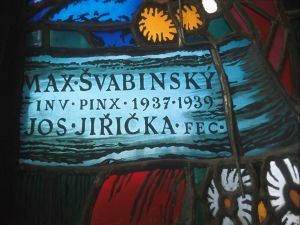 It was founded by Josef Jiřička sr. (1903 – 1969), who created here designs for stained glass windows by Max Švabinský for the st. Vitus cathedral at Prague castle (The Last Judgment 1937 – 1939 and The Holy Trinity 1939 – 1949), works of Karel Svolinský, Jan Bauch, Vladimír Sychr, Cyril Bouda and others. 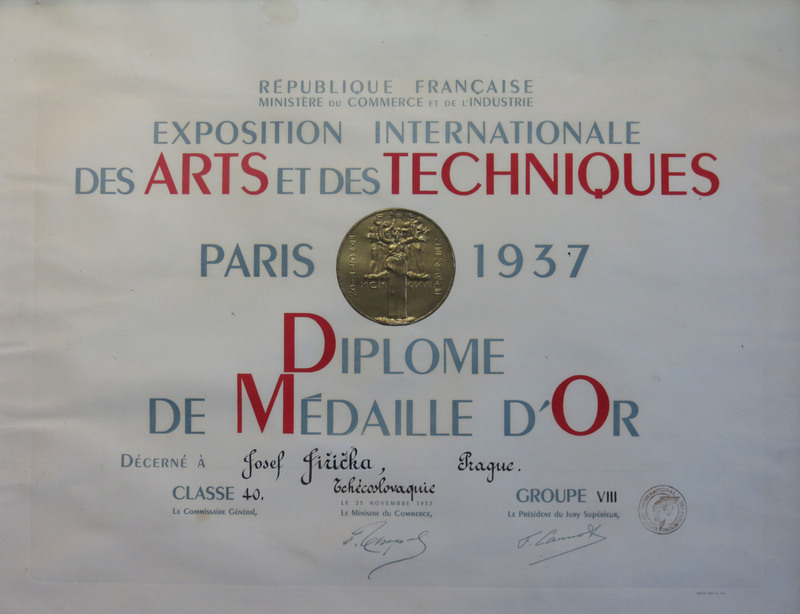 In 1964, his son Josef Jiřička jr., graduate of a glass school in Nový Bor and The Academy of Arts, Architecture and Design in Prague in the studio of J. Kaplický, succeeded his father in the position as a head of the studio. He created here stained glass windows for churches of St. Bartholomew in Kolín, St. Bartholomew in Pilsen, various churches in Rakovník, Velký Bor, Most, Košice (SK), Libiš and other cities, and as well for the Ceremonial hall in Klimkovice on Moravia, in Prague for the Old New synagogue, reconstructed complex of the st. Agnes monastery. 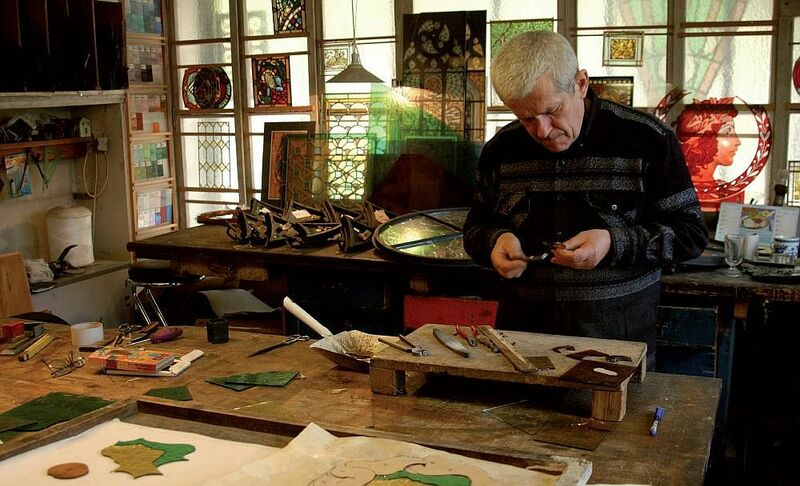 He made stained glass from designs by Karel Svolinský, Jan Bauch, Cyril Bouda, Josef Jíra and many other artists. 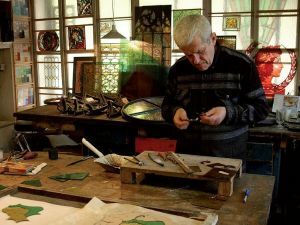 He restored fragments of gothic stained glass from Kolín, Nadslav and also from Křivolát castle and Kost castle. 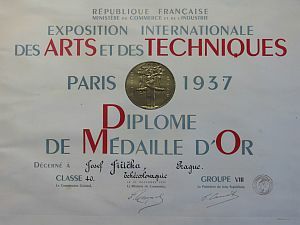 During period 1991 – 2002, third from the generation of masters from Jiřička family, Martin (1958 - 2002) continued in the family tradition, managed the studio. He created designs and made stained glass for gothic chapel in the Old Town Hall and the Pinkas Synagogue in Prague. 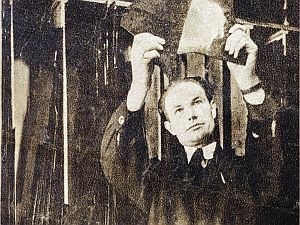 C urrently, the studio is run by a restorer Petr Coufal (pupil of academic painter Josef Jiřička jun. 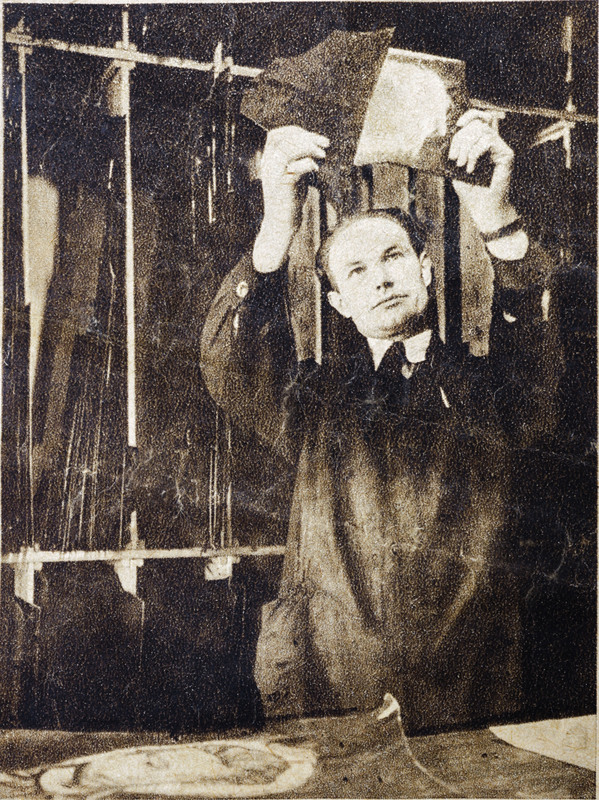 and academic painter Martin Jiřička), who continues in the tradition of the Jiřička family. 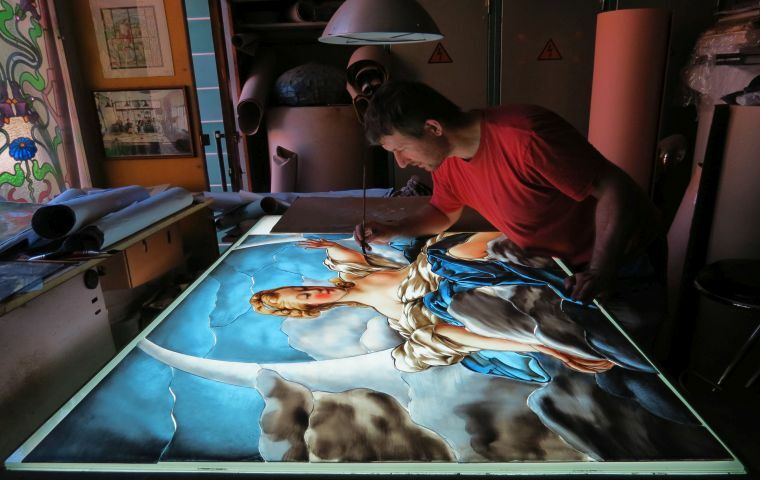 You can see the progress of restoration work on the stained-glass windows from historic buildings from all over the Czech Republic, works based on a designs by contemporary artists and as well the manufacture of replicas of historic stained glass. You can also order manufacture of stained glass, glass with sandblasted or etched ornaments, facet glass or buy a replica of historic stained glass. Those of you, who are interested in glass work, can see the unique storeroom full of historical glass from the 19th and 20th century, with original paintings on glass by Max Švabinský, or original Art Nouveau stained glass sampler. 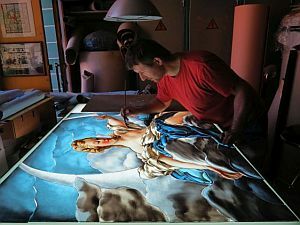 A team of excellent restorers and artists is ready to provide a full service - from drawing a design of a stained glass, through painting on a glass, up until final installation of stained glass in the desired space. 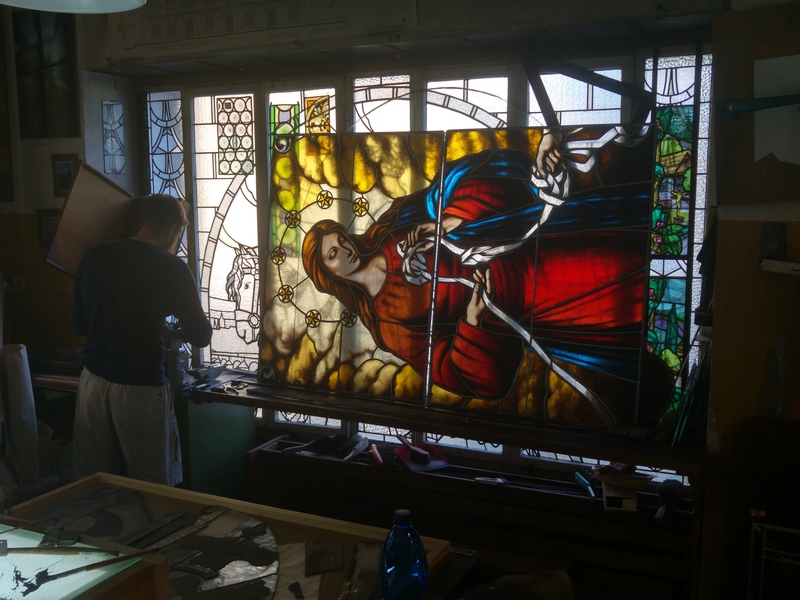 Thanks to cooperation with our partners we can offer manufacture or remanufacture of supporting structures or installing stained glass in security and double glazing. WE ALSO OFFER INTERNSHIPS FOR STUDENTS IN HANDCRAFTED FIELDS.